Iceboats and parts for sale on this page are listed by private individuals who are not affiliated with Composite Concepts. 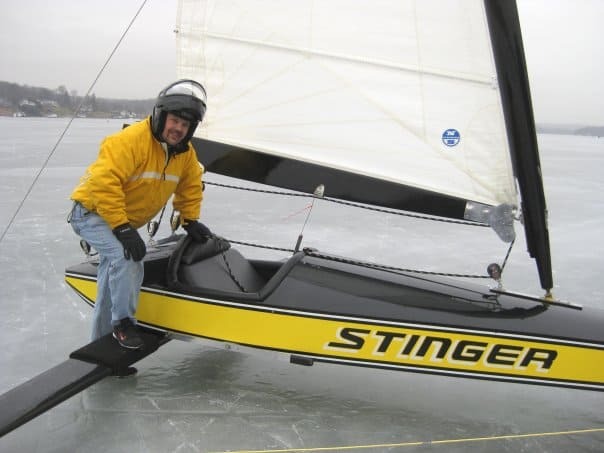 If you would like to list an ice boat or component on this page, please email to the webmaster and it will be posted. Clean solid stock boat with hardware upgrades and foot steering, $3000. Complete A-Class rear-seat Skeeter. Available with or without a trailer. Boat built by Gary & Harry Whitehorse and Paul Krueger in Madison. Very stiff, made for a large sailor. $ 1200.00 O.B.O. We built this Ice Optimist as a father and son project when my son was 8. He’s now 17 and has a DN so its time to move this along to a younger user. On the upside – the plank is stiff enough that we’ve used this as a training platform for adults before sending them off in a DN. The attached pictures show everything with the exception of the runners. The boat comes with true Ice Opti runners. The bullnose runners are not included (they are on his DN). Asking $2000 but will contemplate offers. Located in North Stonington CT.
2 DN SS Sherry Carbon-sided Insert Runners w/ carbon wings. ALL PRICES F.O.B. LAKE GENEVA, WI. Complete, Great Condition, Spruce, like new Quantum sail, Hamel Mast, Sarns Runners, 2 Teutsch insert runners, all covers, ready to sail. Currently in Mt. Clemens, Mich. area. Yankee iceboat “Stinger” Located in Southampton, NY (eastern Long Island) One of two “Bite Me” boats (when hiked BITE ME is visible on the bottom of the boat in all caps) Meticulously restored by Keith Kennedy of NJ. This is one of the nicest looking Yankees you will ever see, everything is in excellent condition. 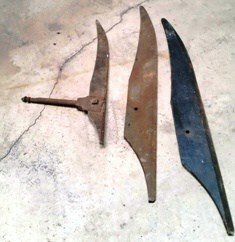 Vintage Stern-Steerer runners dating from the late 1800s. Asking $200 I would like $200. Arrow, sail number 128, complete and ready to sail with trailer. Summer sale- price will go up in season. Photo depicts another Arrow that I own. I am unable to take a picture of the Arrow for sale because it is shrink wrapped.